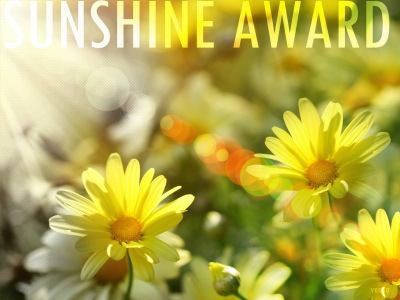 I got nominated for my first award “The Sunshine Award”!!! Super excited!! I would like to thank Deepa from http://deelightfullyveg.wordpress.com/ for nominating me for this award! EEEP…… Thank you soo much Deepa. Getting nominated for an award for my blog which is only a month old is a great achievement and am glad that people are liking it! Thanks Everybody! 2) Show your gratitude and link back to the person who nominates you with the award. 3) Nominate 10 of your favorite deserving bloggers who positively and creatively inspire others in the blogosphere. 4) Link the nominees in your post and let them know they have been awarded. 5) Write 10 interesting things about yourself. While cooking am never bothered with the calorific content of my preparations. What is important to me is the lingering sensation of the tingling taste buds, the aroma, the presentation and the background in which the taster partakes of the preparation. I am very conservative and traditional in all my cooking recipes in the sense that I am for heightening of specific delectable experiences in continental, Indian and Chinese cuisines but never experiment with fusion and intermixing of cuisines. I am greatly drawn to recipes which involve baking, usage of various cheeses, chocolate, fresh fruits etc. You are so sweet to nominate me, it’s greatly appreciated! I love reading your blog also, keep up the good work! Congratulations Maulshri 🙂 Thank you so much for the nomination and I love “Joie de Vivre”. Wishing many more awards, have a good week!